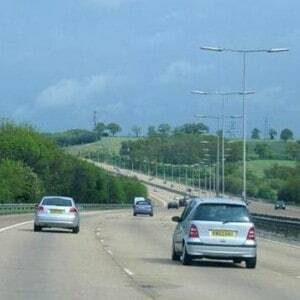 The Institute of Advanced Motorists (IAM) has highlighted the first anniversary of the launch of smart motorways in the UK, but also the fact that a significant proportion of drivers remain in the dark regarding the rules of these stretches of carriageway. Variable speed limits and the opening up of hard shoulders to all-lane running during busy periods are just some of the changes that have been implemented on smart motorway networks in a move designed to reduce levels of congestion across the nation's busiest routes. However, when it comes to understanding the messages being delivered via overhead gantries to smart motorways users, many drivers are not yet up to speed with what all the new symbols and instructions mean. As such, the IAM believes more now needs to be done to educate all drivers on the rules of using smart motorway networks, as failure to do so could result in inappropriate driver behaviour and an increased risk of accidents. Indeed, a recent poll carried out by the IAM revealed as many as 40 per cent of UK motorists are not confident that the monitoring systems in place on smart motorways – CCTV, traffic detectors, overhead signage – are enough to ensure they would be safe from harm in the event of breaking down in active lane of traffic. IAM chief executive officer Sarah Sillars commented: "Highways England must analyse incident data on a continuous basis and ensure that any lessons learned from the real world use of smart motorways are implemented quickly. "Ultimately, the smartest way to build awareness would be to allow learner drivers to use motorways under expert supervision." She added that there are many different types of people that use the nation's roads, with many not even aware that the smart motorways networks are something they must be aware of. As a result, promoting greater awareness of these stretches of carriageway and the actions drivers need to take when faced with overhead instructions must be given a higher priority.